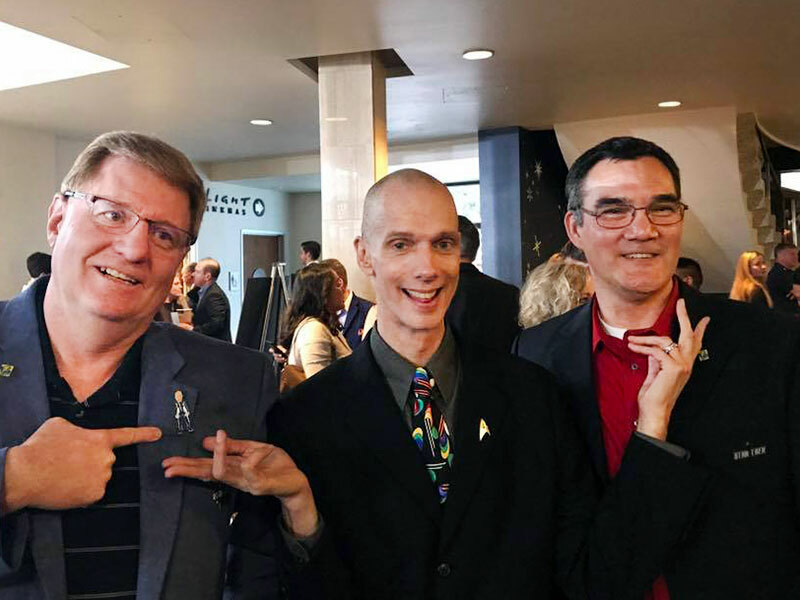 Earlier this week, this geeky doofus from Maine was given the absolute opportunity of a lifetime by joining Lew Halboth and John Garrison from FanSets to the world premiere of Star Trek: Discovery in Hollywood California. To say that I am eternally grateful to these fine gentleman is the largest of understatements. 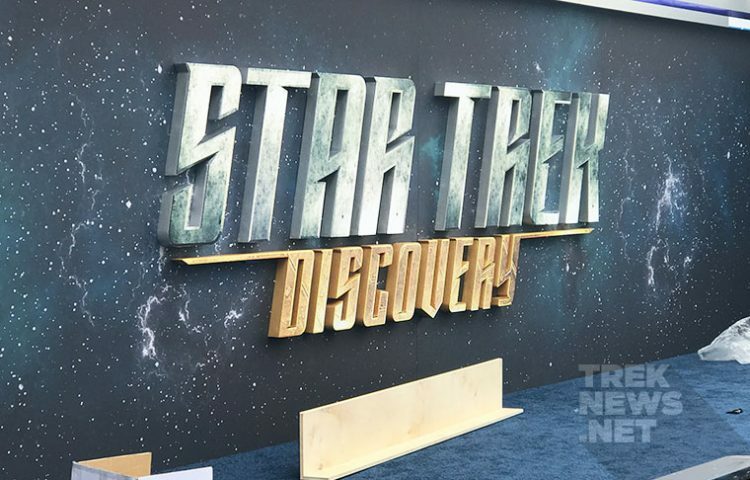 It was unlike anything I could have imagined, from the blue carpet event, where EVERY Star Trek series was represented by at least one celebrity, to the premier of the 6th live action Star Trek television series itself. 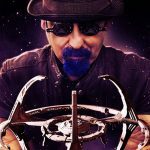 As the September 24th quickly approaches and we get ready for an AMAZING ride with Discovery, I wanted to provide all the great readers of treknews.net my experience of attending such an amazing event! The journey started waaaayyyy over on the East Coast in Maine where I started my journey. Getting up at 3:00 am Los Angeles time, I headed to Manchester, New Hampshire for my flight to Chicago and then to Los Angeles, where I happily arrived at 3:30 PM to what can only be described as controlled chaos at LAX followed by traffic that I have never seen the likes of back in Maine. I was staying a mere 12-miles from the airport, yet it took over an hour to arrive at my destination. I think I can walk those miles faster than car ride, but at least my Uber driver was very pleasant and we had a great conversation about Star Trek, sci-fi and movies in general! As we arrived at our destination, we met up with our good friends Lew and John from FanSets who were eagerly waiting in line to enter the theatre. Before we got in line with them we wanted to take a look at festivities taking place on the blue carpet so we swung around to the front. Our vantage point was not great as things were gated off so that press could take pics and interview the celebrities but that didn’t stop me from getting a few great shots. As our location was not that great for pictures we decided to go wait in line and spend some time with the guy who made this entire trip possible. Lew and John from FanSets are two of the coolest people on the planet and getting to hang with these guys for this event was one of the things that I enjoyed the most. Only a few minutes after we got in line with them the doors opened and we were allowed inside the theatre lobby. As we were the first to enter (thanks John and Lew for standing there so long), we parked ourselves right next to the door where the celebs entered the theatre from the blue carpet. First to walk by was the legendary Nichelle Nichols who gave me a big smile as she walked past me and I did my best to keep my cool. 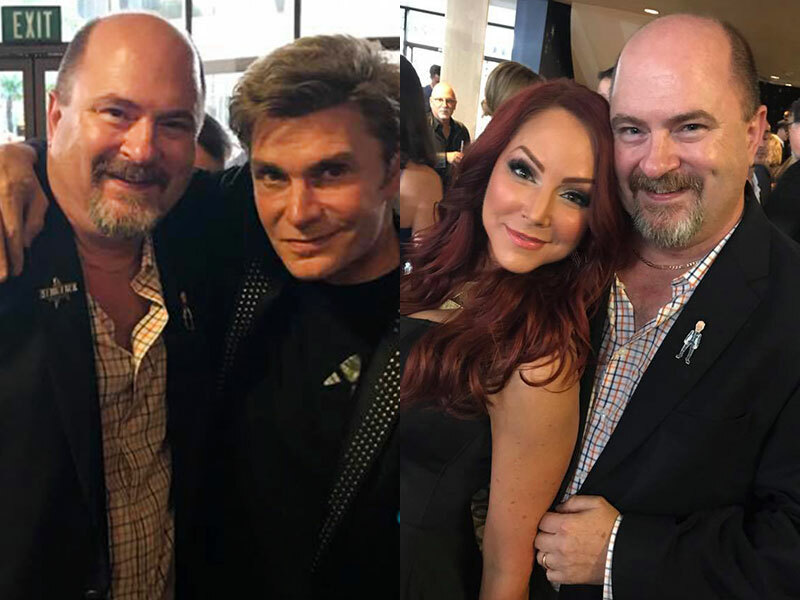 The first involves my dear friends from Star Trek: Continues, Vic Mignogna and Michele Specht. 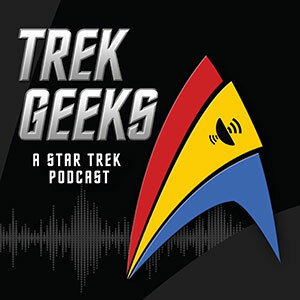 Anyone who listens to Trek Geeks knows how special the group from STC is to Bill and I. 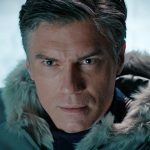 We love them and think that STC stands head and shoulders above any other fan production ever made. I had heard through Facebook earlier in the week that Vic and Michele had been invited to the event and was so happy for the two of them. What I did NOT know was that they both were invited to attend and were featured on the Blue carpet! I’ll tell you it was so great when I looked outside at one point and saw Vic out there. My smile must have been a mile wide. Then when he looked into the theatre lobby and saw me standing there…the reaction was priceless and I will never forget it. 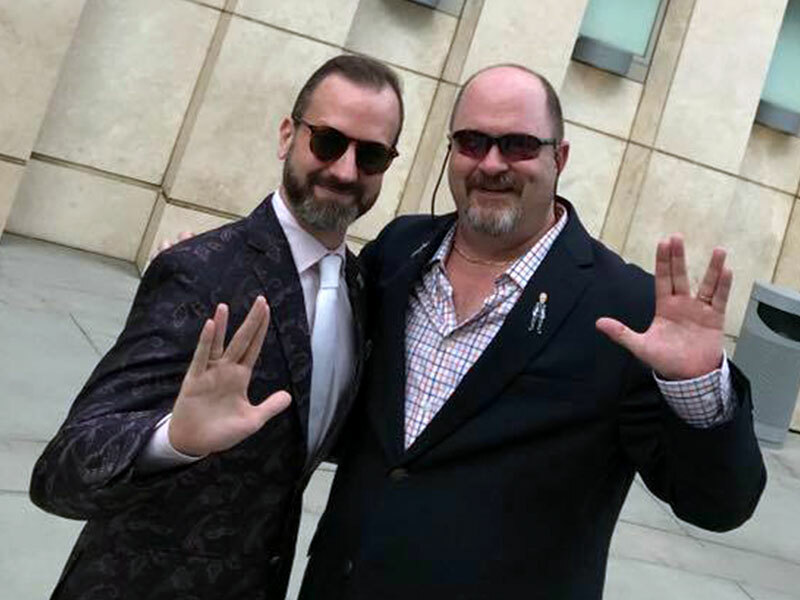 As they entered the theatre it was so great to meet up with my good friends again and I am so thrilled that CBS included them in this special occasion! As he was turning to go speak to some other folks, I put my hand on his shoulder and he turned back around towards me. I put out my hand to shake his one more time and said “Mr. 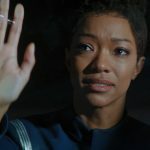 Jones I want to thank you for what you are about to share with us and thank you for what you are contributing to this great universe of Star Trek. I know from everything I have seen how passionate you are about this and we all love you for it. Thank you so very much and welcome to this amazing family!” I was completely taken aback as he bear hugged me and said “Dan, thank you so much for that. 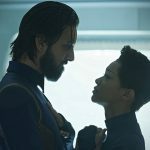 I am proud and so excited to be part of Star Trek and I hope we, in turn, make YOU proud”. With that he headed off to talk to some other folks, but what he said to ME will resonate with me forever. With that, we headed into the main theatre to witness pure magic with the premier of Star Trek: Discovery. Being on the East Coast, an event like this is something I never dreamed to be a part of. 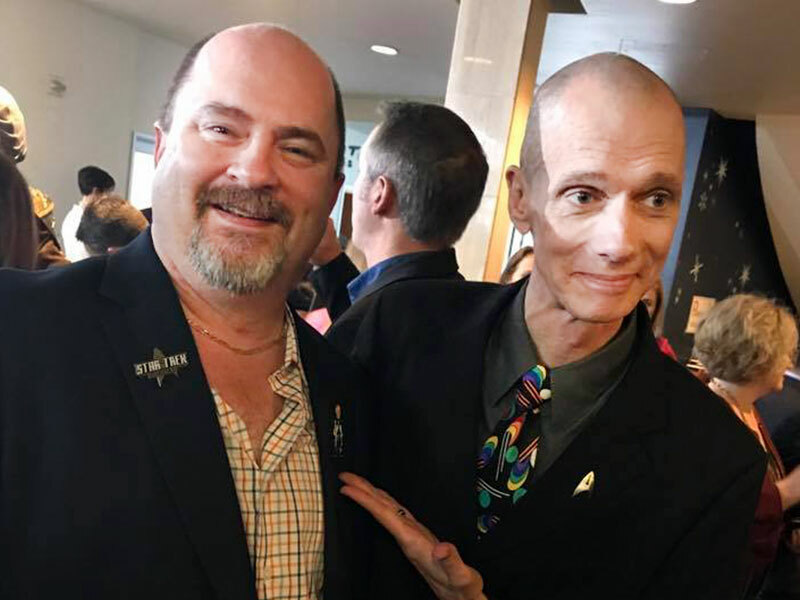 It was an evening that I will never forget and the only thing that was missing from it was my friend, podcast partner and brother in Trek, Bill Smith. 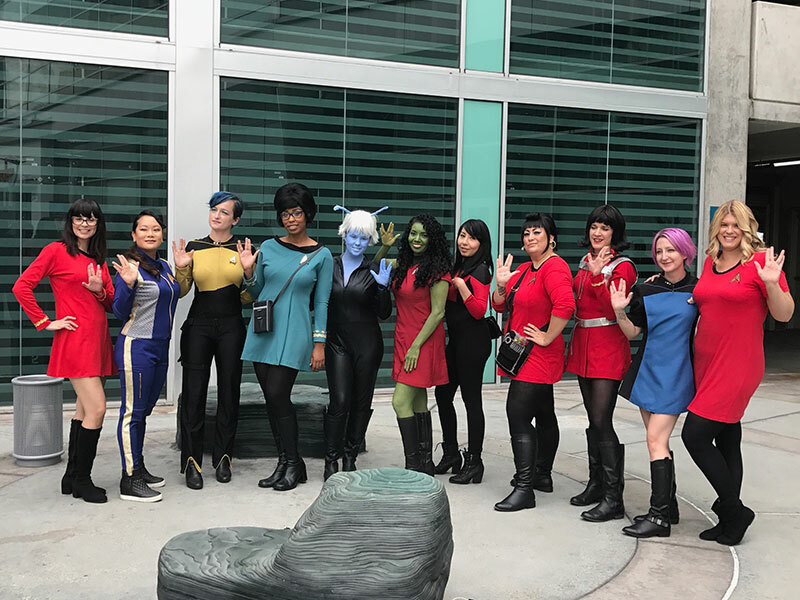 I am so honored that I was able to represent Trek Geeks and Discovering Trek even for just a couple of hours and I again cannot thank the guys from FanSets enough for the chance witness Star Trek history. 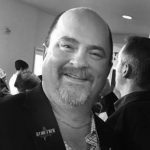 Dan Davidson is an IT Professional who lives in Yarmouth, Maine where he lives with his beautiful wife, Susan. 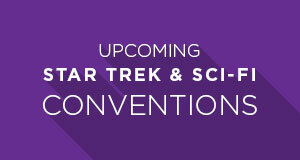 In addition to Star Trek, he is an avid Disney fan and travels to Walt Disney World at least once a year. 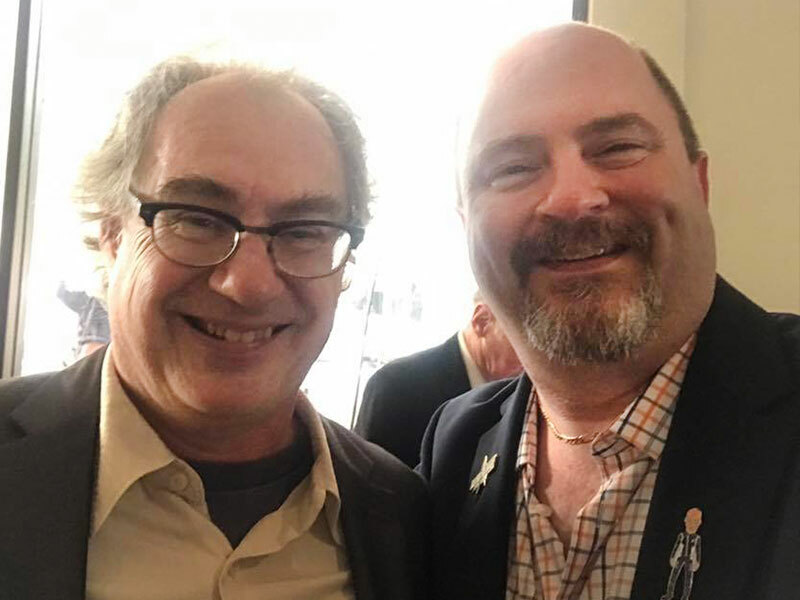 When not recording TrekGeeks, he likes to play golf, watch Star Trek, play with his two dogs, watch more Star Trek, visit family in New Hampshire, and watch Star Trek. 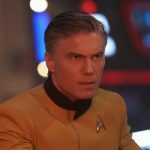 You can follow Dan on Twitter @trekgeekdan.